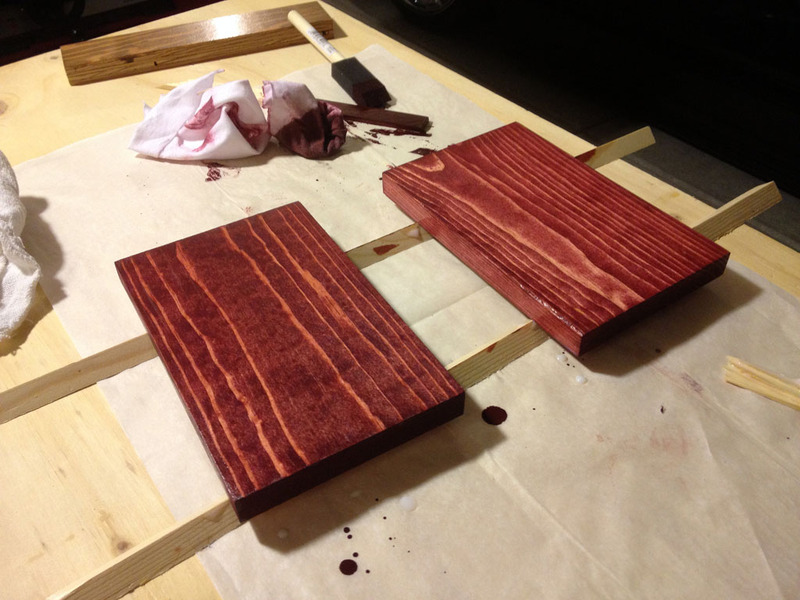 As I mentioned in my previous post I bought some new stain so I tried it out last night. 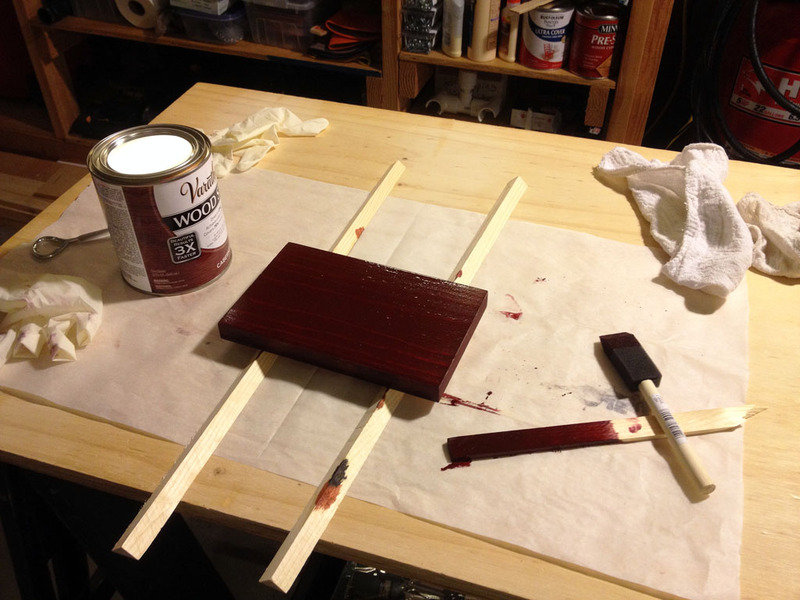 I bought a couple of little cans of polyurethane when I did my first ever stain and poly job on my son’s step stool. 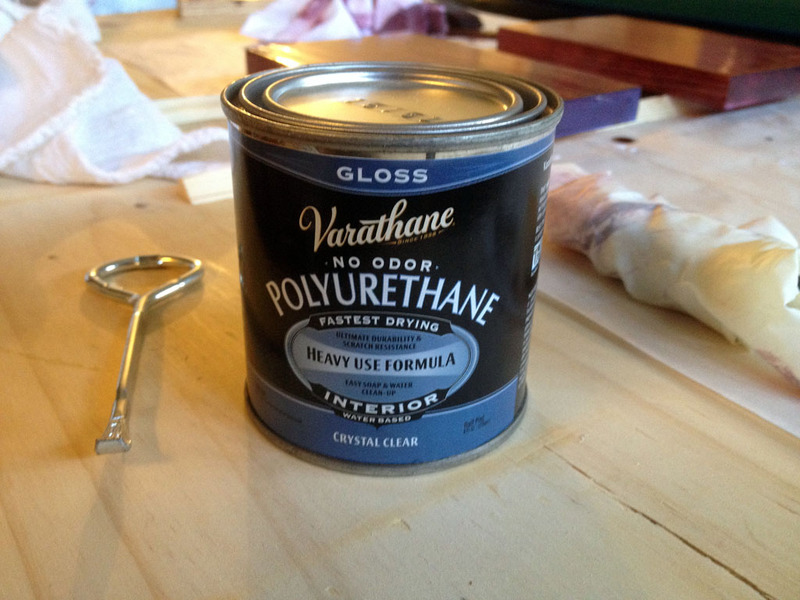 I have a little can of Minwax Oil-Modified poly that I used on the step stool and a Varathane water based poly. 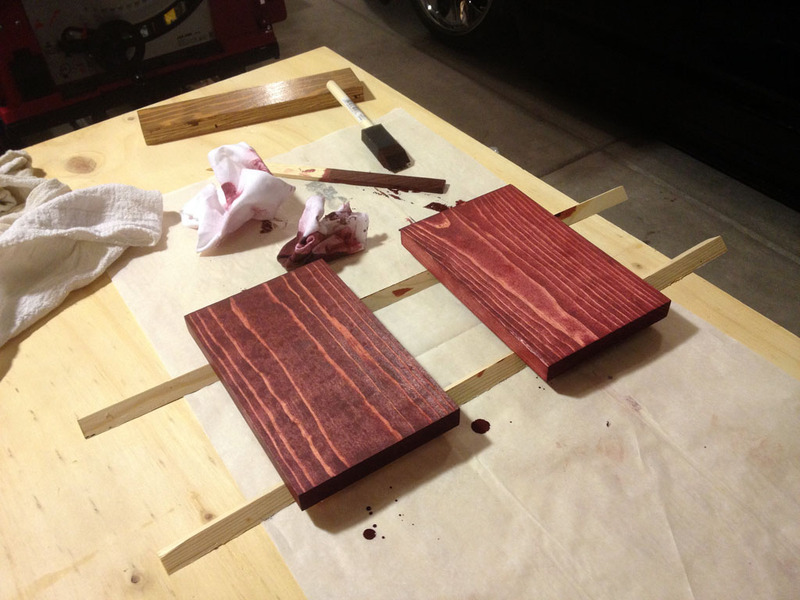 Since I am using a water based stain I figured that I would try the water based poly too. 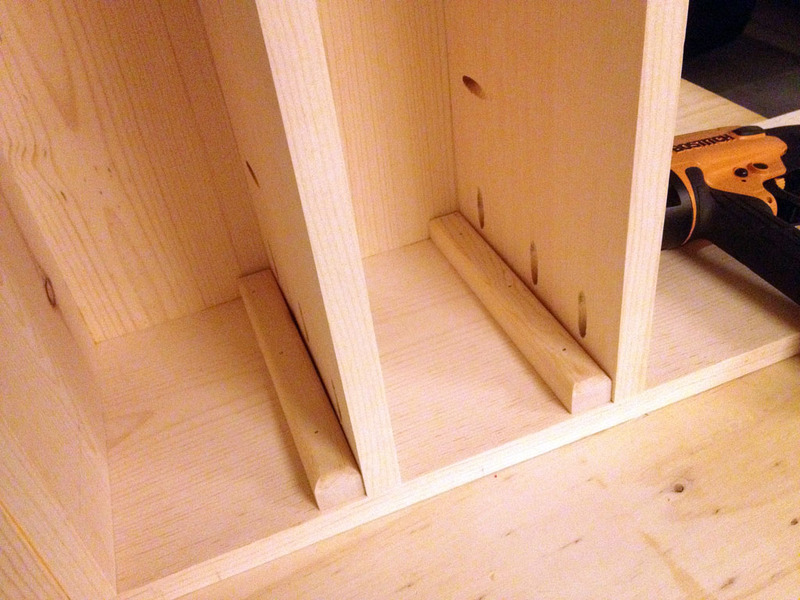 The seat and shelves really warped when I cut down the 1×10 to size so now the dividers don’t fit correctly. They are sitting on the crown in the middle and don’t touch at the front or back so I decided to glue and tack in some supports on the sides. 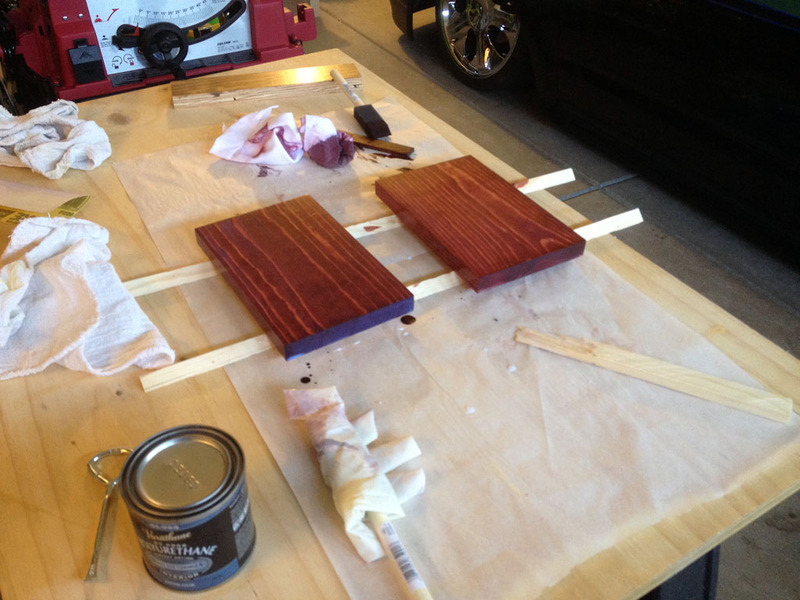 I am using the dividers since they are sanded down to 120 grit like everything else. 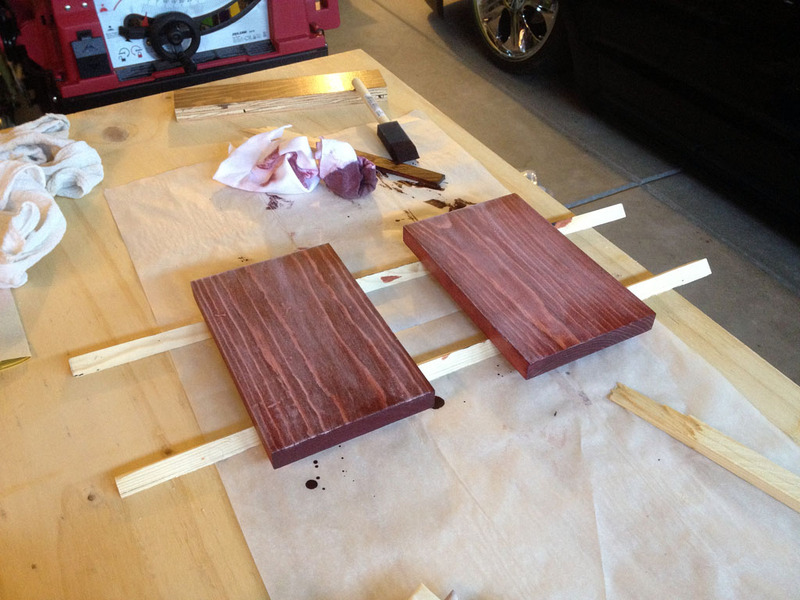 I am going to sand one more of them to 220 grit to test more staining. 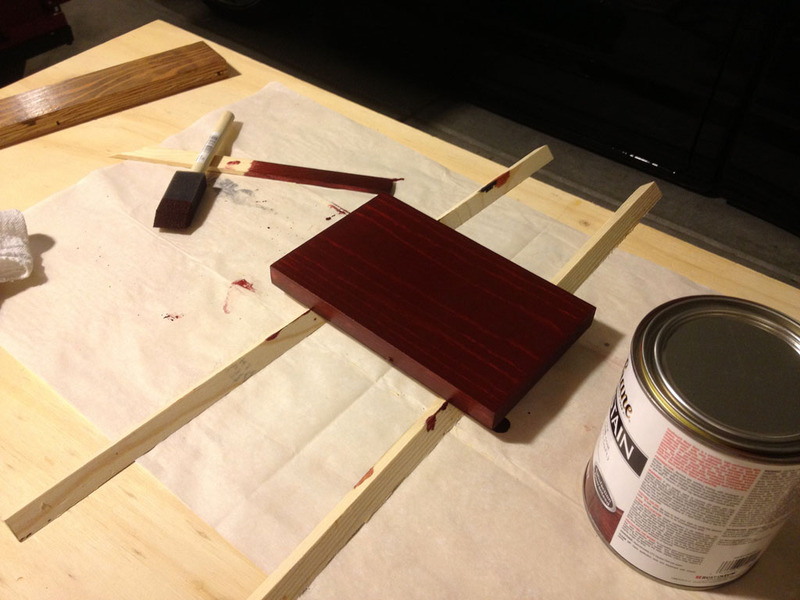 When I stained the step stool it was only sanded to 120 and I was really happy with the way it turned out. I put supports in for the shelves just to play it safe. I apllied glue and then just tacked them in with 1.25″ brads in my nail gun. I flooded the sample with stain and let it sit for 10 minutes. The piece on the left is the one I flooded with a brush and let sit for 10 minutes. The one on the right I apllied the stain with a rag and just worked it in for a few seconds and then wiped right off again. It is a little liighter and less blotchy. This is with 1 light coat of the Varathane water based poly. The directions on the can of stain said that I could apply poly after 1 hour. I waited 1.25 hours and put it on at 11:45 PM. 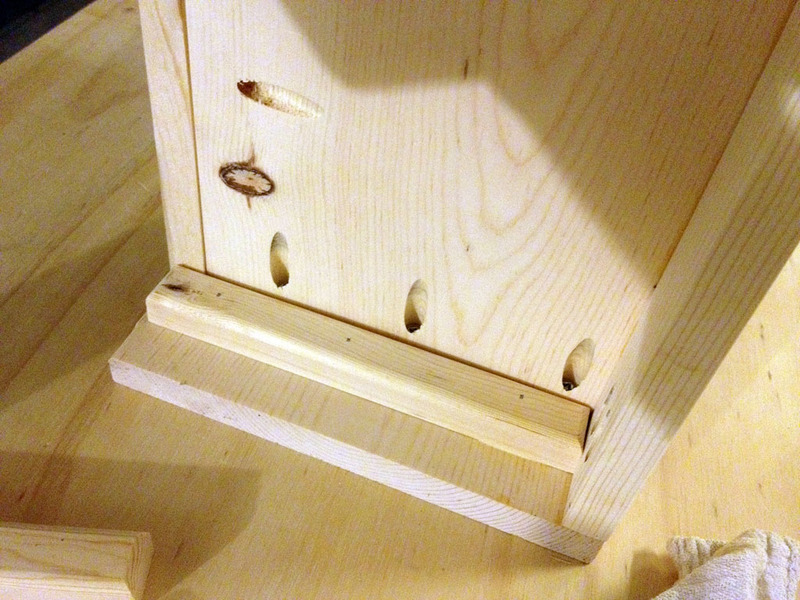 I lightly sanded the pieces down with 220 and then wiped them down with a clean towel and then a tack cloth. Second coat of poly apllied at 8:20 am.